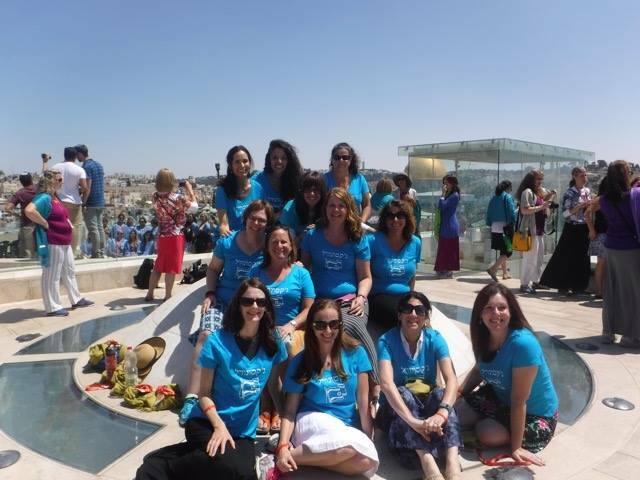 It’s still hard for me to wrap my head around the idea that I’ve been to Israel twice this year. And not just this year, but twice in the last four months. I mean, what are the odds? Both trips seemingly materialized out of nowhere. Both were affordable (one was all-expense paid, the other was heavily subsidized). Both fit into our family schedule – with the help of my incredible husband, who managed the kids, the house, and his full-time job while I was away for a total of almost 3 weeks. And yet my family and long-time friends know that this is even more extraordinary than it appears. They know that I didn’t fly for nearly 10 years. And I didn’t just not fly – I was terrified of flying. From March 2001 – November 2010, I didn’t set foot on an airplane. Even just the thought of being on a flight was enough to trigger a panic response. I missed weddings, funerals, family events. I didn’t visit my friends who’d moved across the country. My husband & I didn’t travel together when we were dating or in the early, child-free (i.e., easy travel) years of our marriage. And in my early 20’s, I passed up the opportunity to participate in Birthright Israel almost entirely because of fear. I figured the Trip to Israel Train had left the station. Finally, in November 2010, I was able (with a little psychopharmacological assistance) to manage my fear enough to fly to my grandmother’s funeral. And as that first plane landed in the airport, my terror just kind of floated away. I’m still a nervous flier, but I no longer let it hold me back. 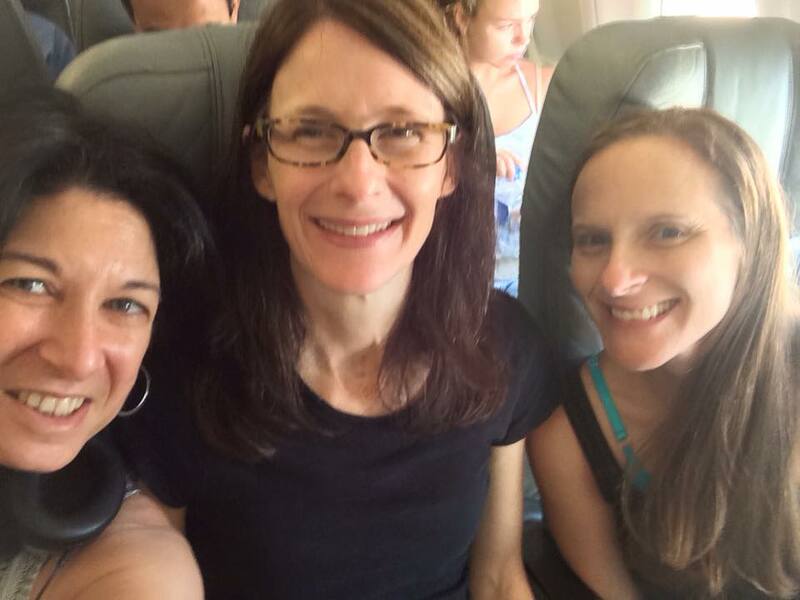 Since 2010, I’ve flown to New York, Colorado, D.C., Vermont, and of course Israel – twice. Anyway, I want to share some photos and stories from my two trips. I should point out that the two trips were very different from one another. The first was a press trip and was sponsored by the Israel Ministry of Tourism, so naturally it was designed to highlight some of Israel’s best spots for tourists. 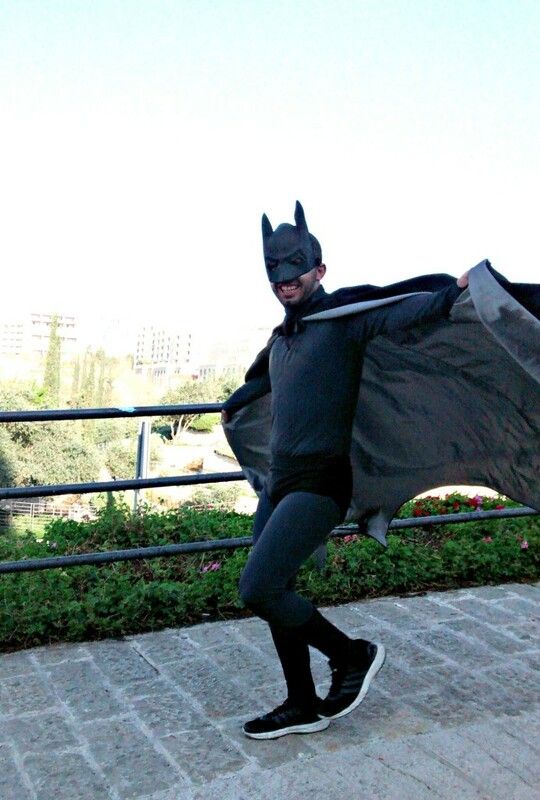 And, of course, it was centered around the Jerusalem Marathon. My second visit was with an organization called JWRP, and it was geared toward spiritual growth and self discovery. Israel is a hotbed of religious, historical, and political controversy; and I’m going to leave those subjects to the religious, historical, and political bloggers. Instead, I’m going to share 8 things that I learned about Israel that I think can apply to just about any first-time visitor. 1. 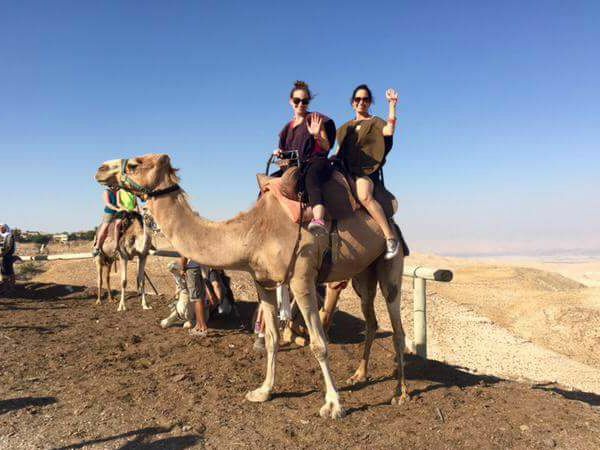 Only tourists ride camels. But if you’re visiting Israel, you are a tourist. Ride a camel. It’s a little bumpy, but it’s fun. 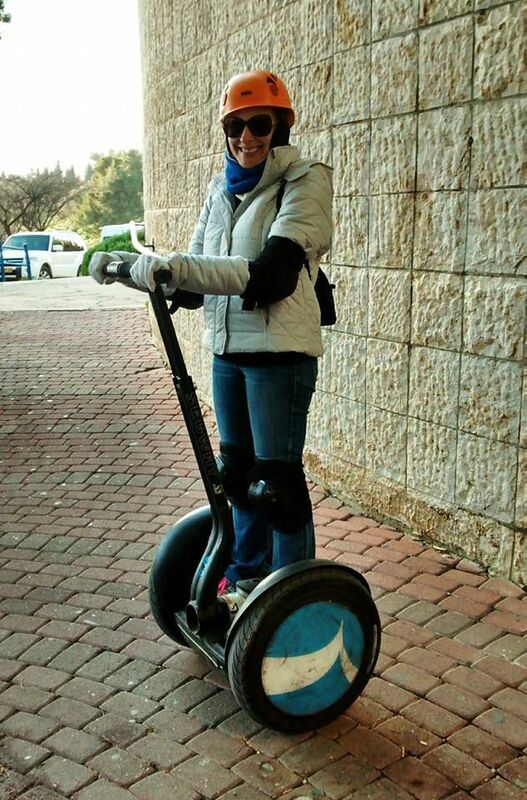 For the record, I’m pretty sure only tourists ride Segways too. 2. A day at the Dead Sea is no ordinary day at the beach. The Dead Sea is about 10 times as salty as the ocean. The high salt concentration means that you can just lie back and float in the sea. Don’t shave the morning of your visit. If you have a cut or scratch, especially a big one, do your best to avoid getting it in the sea. Do NOT get water in your mouth (gross) or in your eyes (ouch). Remember that even if you don’t put your face in the water, your sweat can still mix with the sea water and drip into your eyes. For this reason, I’d suggest not getting your hair wet. If you can, avoid touching your face altogether. Don’t stay in the water for too long, or you’ll find yourself getting dehydrated – fast. For me, 5-10 minutes was all that I could handle. Incidentally, I was told by one of our security guards that Israelis refer to this body of water as the Salt Sea. 3. The story of Masada, if told by the right storyteller, will leave you breathless and break your heart. 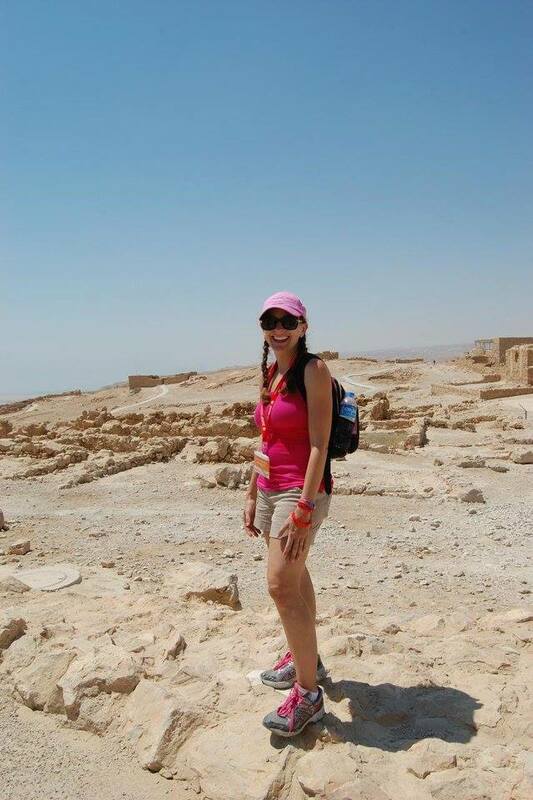 Masada is an ancient fortress located 1300 feet atop a rock cliff in the Judean Desert and overlooking the Dead Sea. 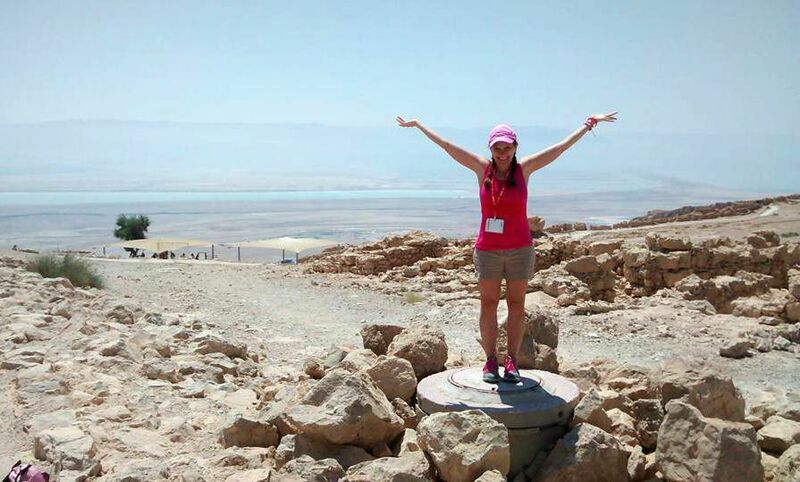 A long, winding hike will bring you to the top of Masada – or at least so I’m told. On both trips, our packed itineraries made it necessary to take a cable car up to the top. I didn’t know the story of Masada when I visited the first time, and I was positively spellbound by both the history and the view. My second visit was just as beautiful. But it was 102 degrees – with no shade – in the desert. 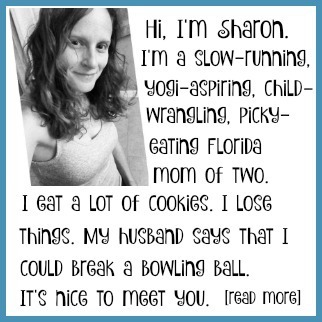 The heat was hard to handle, even for this Florida girl. Takeaway? 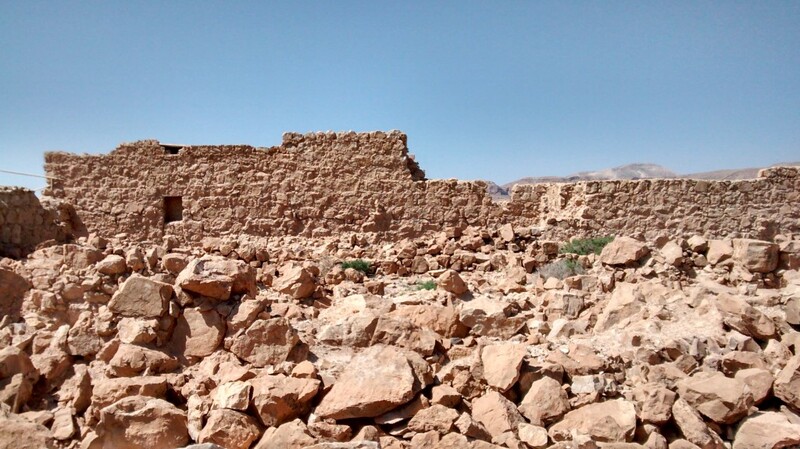 Try to avoid visiting Masada in July. 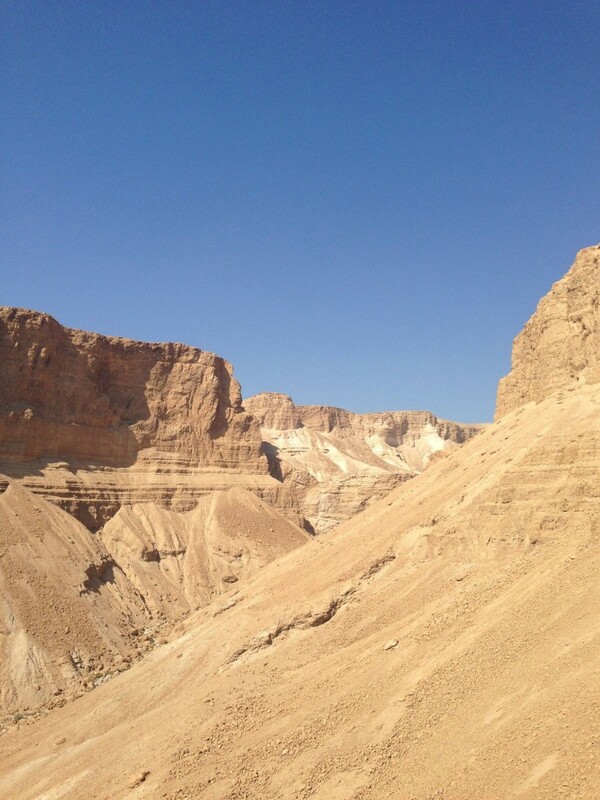 But if you do visit Israel (even in July), Masada is a must-see. If you like historical fiction, I’m currently reading The Dovekeepers, which takes place at Masada. It’s a pretty intense read, but I like it so far. 4. 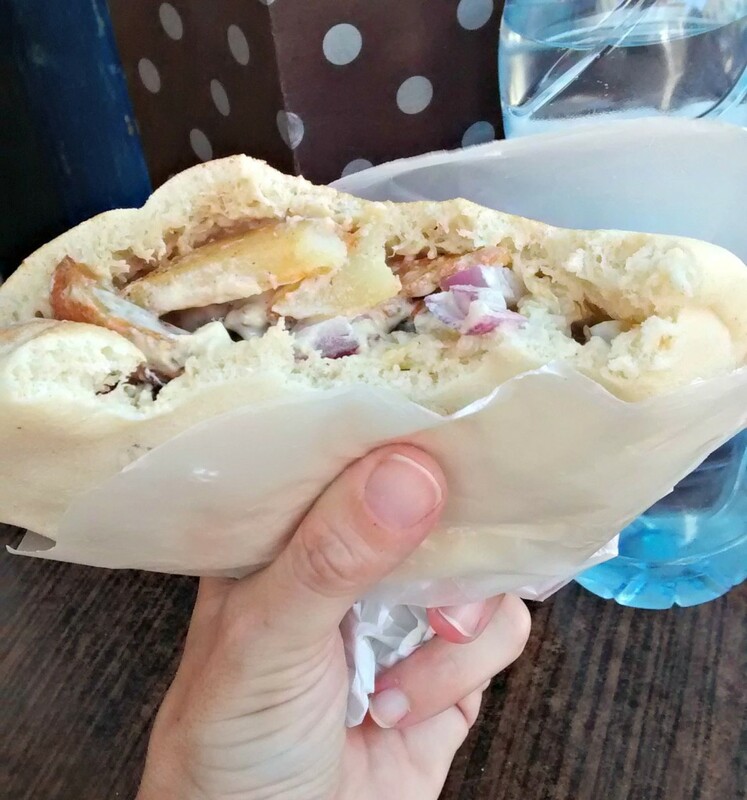 Israeli street food will rock your world. My husband is fond of (i.e., mildly obsessed with) street food, and he seeks it out wherever he travels. I can’t wait to introduce him to shawarma and falafel. I’m not a big sandwich or wrap eater, but I ate every last bite of this falafel pita. 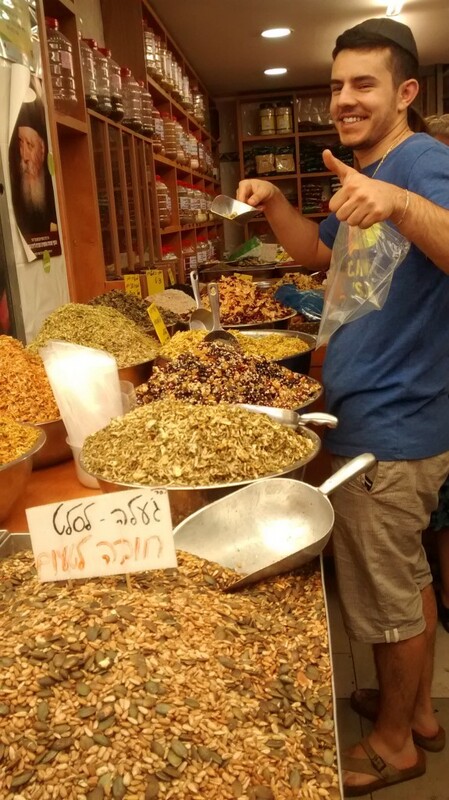 I’m not much of a foodie, but this post does a nice job of describing the different kinds of Israeli street foods, as well as the typical Israeli palate. 5. 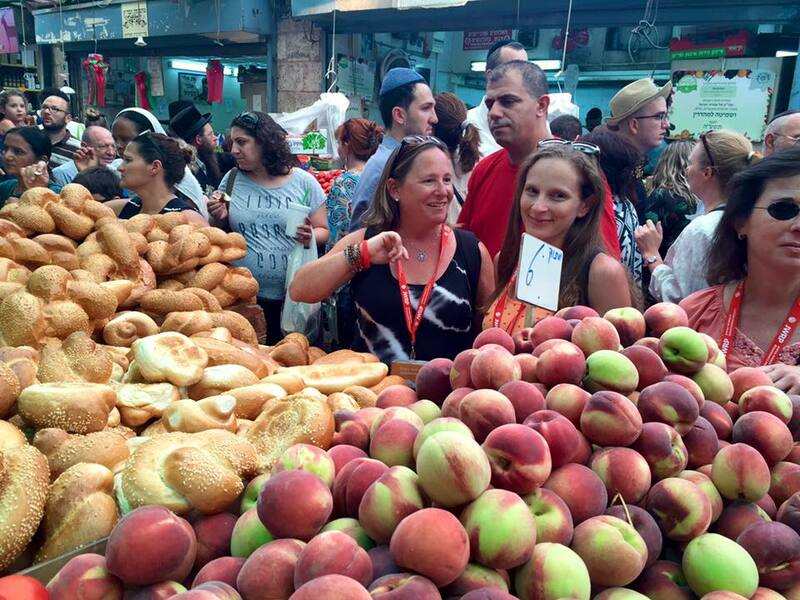 If you like outdoor markets, you have to stop by Mahane Yehuda Market (aka “The Shuk”). As you can probably tell from this photo, taken by my friend Andrea, outdoor markets (especially insanely crowded ones) aren’t my thing. I found the crowds, the noises, and the smells a bit much to handle. 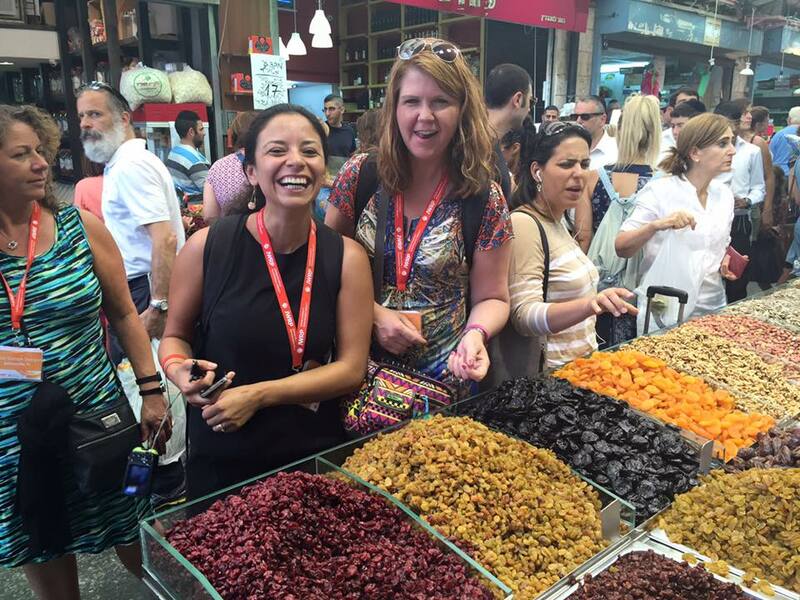 But The Shuk is one of those rare spots that is frequented by locals and tourists alike. If you want a real slice of life look at Jerusalem, visit The Shuk on a Friday morning, when shoppers are preparing for the Sabbath. 6. Israeli nightlife doesn’t disappoint – and might even surprise you. I didn’t have the opportunity to experience Tel Aviv at night, but it appears on a number of “World’s Best Nightlife” lists. Someone described it to me as being similar to South Beach, Miami – lots of flash, bling, and noise. I did, however, get to experience Jerusalem at night, albeit reluctantly. One night, we found ourselves with a bit of free time. 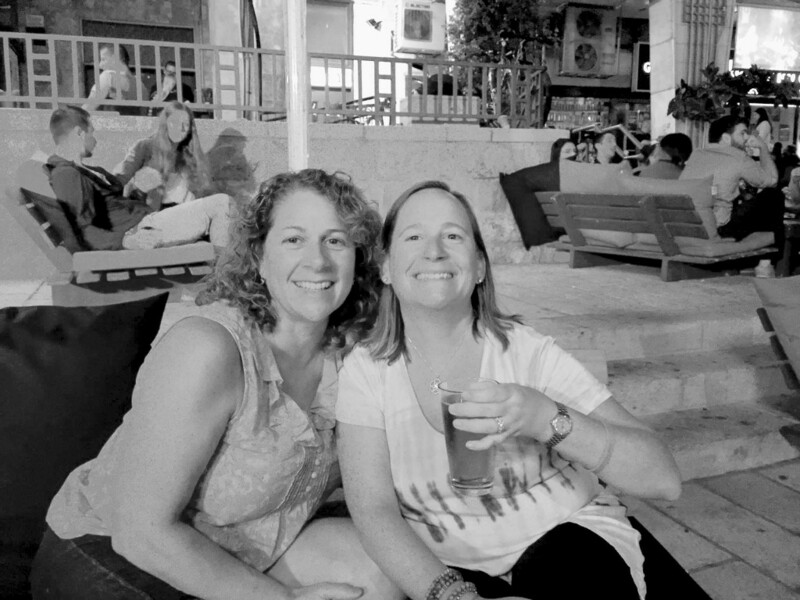 I wanted to spend it in my hotel room, but my roommate Robin dragged me out to go shopping on Ben Yehuda Street (aka the midrachov, or pedestrian mall). We started out shopping for souvenirs – but then the later it got, the more it began to resemble a college town. 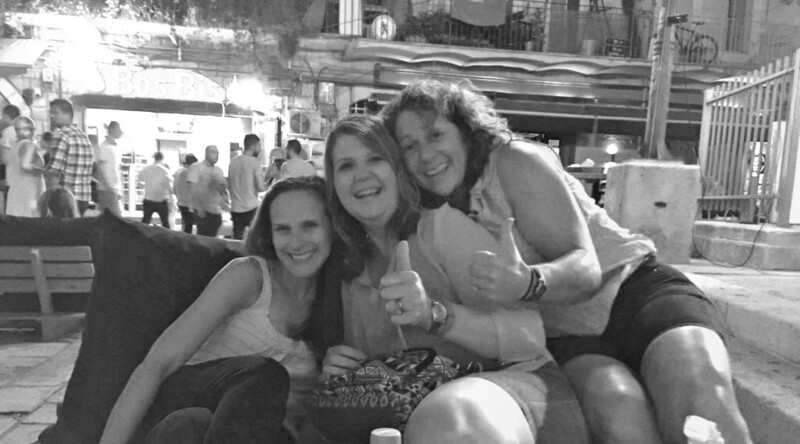 The streets filled with laughing young adults, loud music, and the smell of pizza and beer. The bars were packed, and the nightclubs had lines out the door. What really struck me was the diversity of the crowd. We saw conservatively dressed Orthodox girls and girls in itty bitty skirts and heels…Yeshiva students and guys with buzz cuts and tattoos…off-duty soldiers and drunk goofballs wrestling in the streets. Robin and Karianne keeping me out past my bedtime. 7. Hummus goes with everything. Israeli restaurants commonly serve food “family-style,” with plates of food put out for everyone to pass around and share. 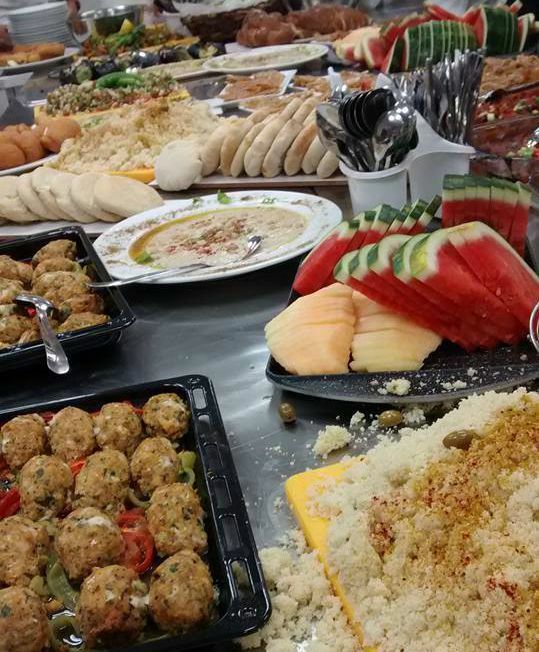 The first course usually consists of a variety of salads, breads, and dips. And nearly every dinner table, from cafeterias to fine dining, includes a heaping bowl of hummus. During my second trip, we spent an afternoon cooking a number of traditional Israeli dishes, including (of course) hummus. Bring the chickpeas and their liquid to a simmer (do not boil). Combine the hot chickpeas with the other ingredients in a food processor. Process for 90 seconds or until smooth. Gradually add water until it reaches the consistency of a rough paste. 8. Concerned about safety? You’ll probably forget to worry after your first 24 hours in Israel. I’m a worrier. (Remember, I’m the girl who didn’t fly for 10 years.) I can only speak for myself, but I can honestly say that I never felt unsafe in Israel – not once. On my women’s trip, we were escorted by a couple of soldiers, who stayed pretty inconspicuous. On the press trip, we didn’t have any kind of security detail at all. And yet I never felt scared or unsafe. Not at religious sites, not at museums or monuments, not in markets or restaurants or malls. I can’t really explain why – I just felt relaxed and free. And I’m pretty sure my traveling companions felt the same. I don’t remember having a single conversation about safety on either trip. 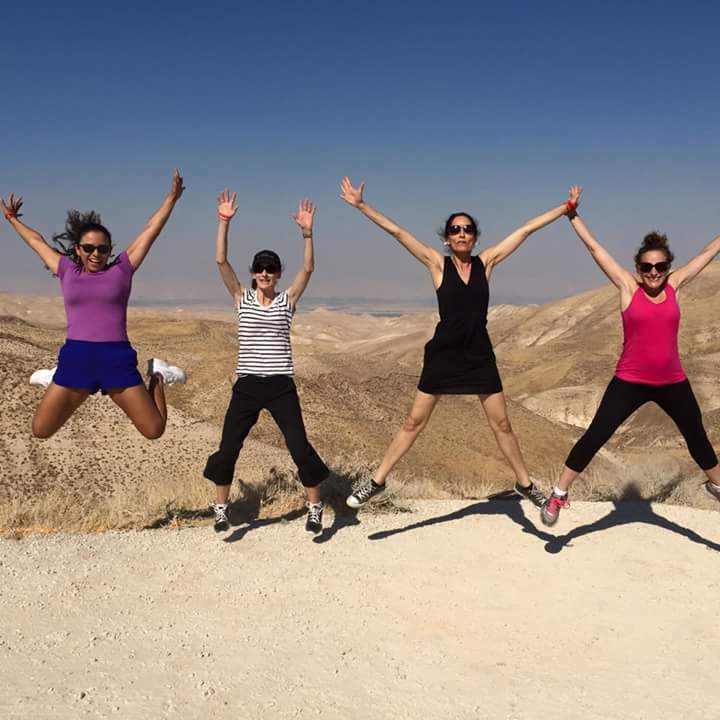 jumping for joy with Diana, Sara, and Andrea! These lessons – well, they’re just the tip of the iceberg. 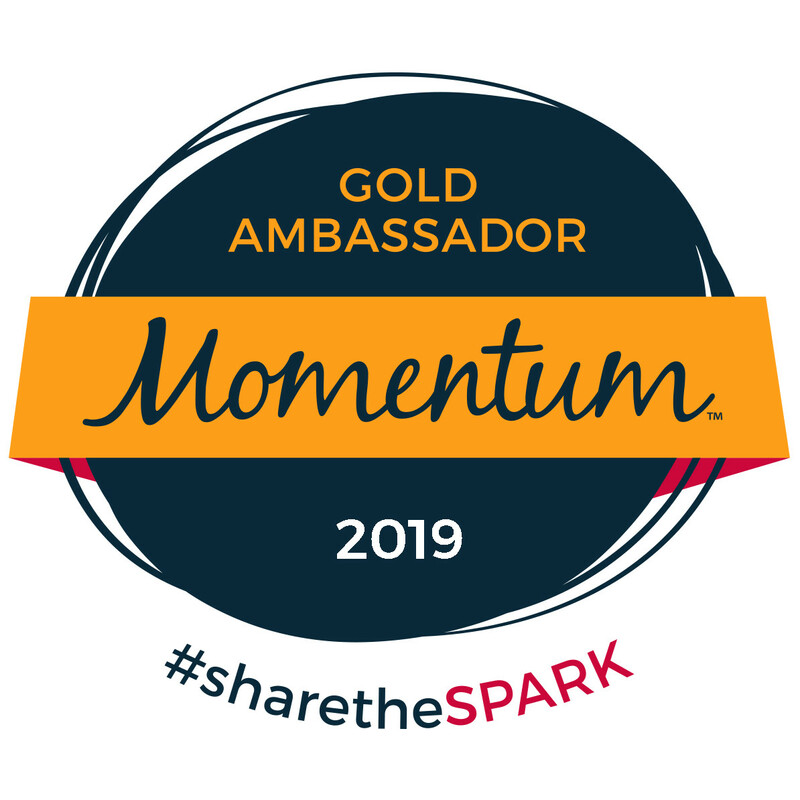 I think it will be a while before I can find the words to accurately express how much the trips meant to me, how the experiences have changed me, and how the people I met impacted my life. Perhaps someday I’ll write about it here. 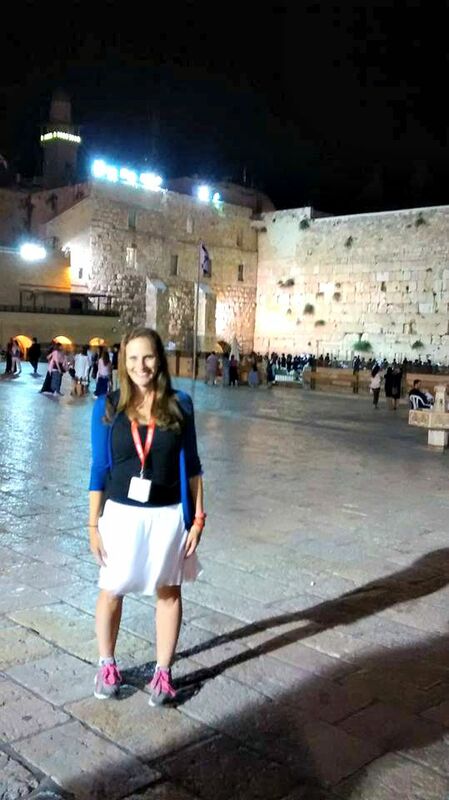 But for now, I wanted to share a taste of my trips – and a taste of Israel – with you. p.s. Most of the photos in this post were taken by my fellow travelers, not by me. p.p.s. I wrote this post for JWRP. I’d love for you to read it if you’re interested in learning a little about my spiritual experience. p.p.s. 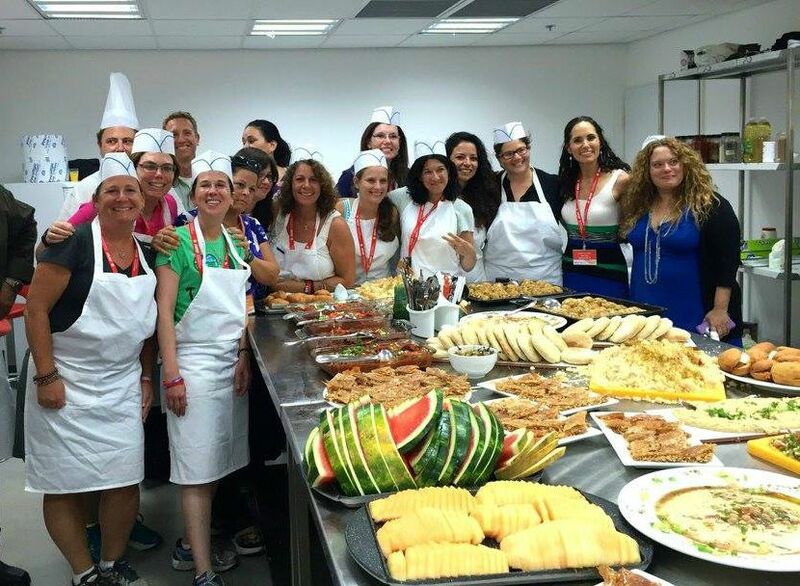 Just wanted to give a few shout-outs to some of the fabulous restaurants, museums, and entertainers that I had the pleasure of experiencing in Israel. I have just one word to describe my opinion, WOW!! Wow! Those Open Outdoor Markets look amazing! So many fresh options! And I love hummus! Israel must be an amazing trip! The market is really pretty incredible! 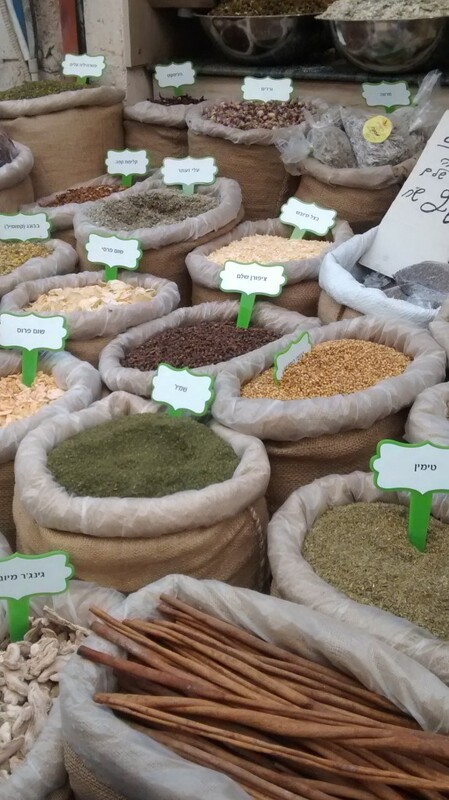 I kind of wish I’d bought some spices, but I was just really overwhelmed by it all. Truth be told, I’m just a grocery store kind of girl. This is an awesome post! I’m with ya on the worrying thing and that’s my biggest concern when I think about traveling the world – which I want to do more of very soon!! What a great (TWO!!!) experiences. That is so fantastic you got to do this. Now I want a big thing of hummus haha. Hi Char! I’ve made my own hummus in the past, but it never turned out as good as the real Israeli stuff. I think it was the texture. 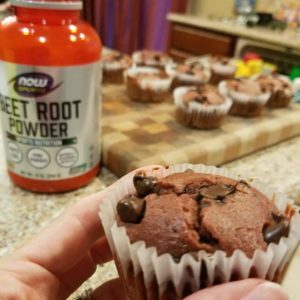 I haven’t tried the recipe on my own, but I definitely will. The whole family loves it (which is rare for us).